While we’re proud of and passionate about MLB and the Red Sox, that’s not to say our European cousins don’t share our enthusiasm. You also appreciate just how good it feels when the best baseball team in the world socks it to the Yankees, and you too want to sit in the crowd at Fenway Park to watch Koji, Hanley, Mookie and the rest of the team bring it home for Boston. Yet what must Europeans have in order to travel across the pond and make it to an MLB game? Aside from a camera, a Sharpie for autographs and your very own glove, there are a few other things you need to get in order first. First and foremost, you’ll need a visa to visit the United States. Citizens of countries who are part of the Visa Waiver Program still need to fill out an Electronic System for Travel Authorization form prior to travelling. An ESTA enables the US security and Immigration services to check that you qualify to enter the US using a 90 day visa. Although the majority of ESTA applications are authorized in under a minute, you are advised to complete the form at least 72 hours before you’re due to travel. If you believe there could be issues with your application, you should apply before you purchase your flight tickets. 38 countries are part of the Visa Waiver Program, including the UK, France, Italy, Denmark and Germany. If you're planning on bringing your kids along to the big game, don’t forget that even babies and young children will also need an ESTA. After you’ve got your ESTA, you’ll then need to book your flight tickets to Boston, Massachusetts, home of the Red Sox. Logan International Airport is just four miles outside of Boston, while Worcester Regional Airport is 45 minutes away and Manchester Regional Airport is around an hour away. All of the airports are very well connected, with various train and bus services available to take you to Fenway Park. You could also hire a cab or car. You can’t travel all the way to Boston without booking tickets to the game! Ticket prices depend on where you will be sat; front row seats can cost considerably more than nosebleed seats. Prices are also affected by who the Red Sox are playing, and tend to cost more if the opponent is high profile, like the Yankees. You can get tickets by phone or through various websites, and you should try to book at least two months in advance to avoid disappointment. 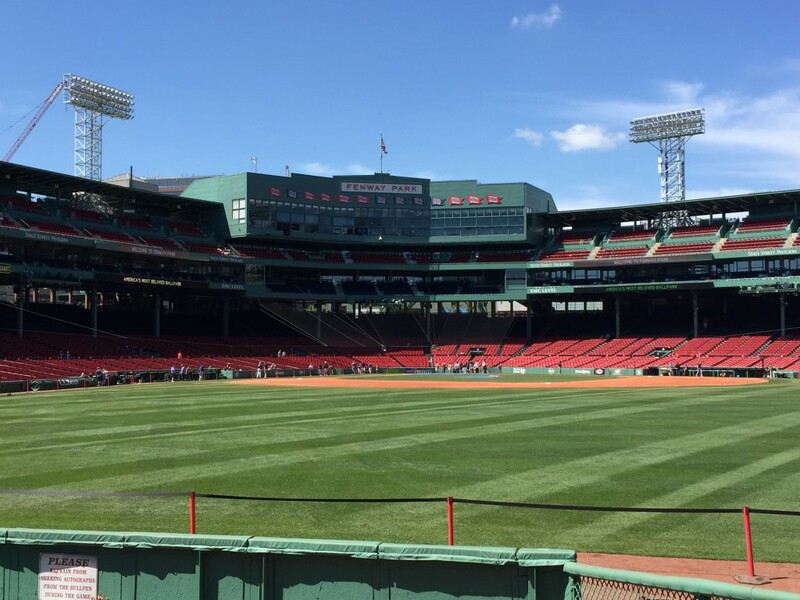 As there are several hotels situated close to Fenway Park, you can easily get to the game. Whether you want the least expensive guest house possible or a luxury hotel, there are options to suit all budgets.